With 2014 drawing to a close, it is time – once again – to reflect on the year gone by and look at what is in store for the year ahead. The world of IT always has always been a sucker for buzzwords and trend watching. The industry is in a state of perpetual evolution and while predicting what is around the corner when it comes trends is often an exercise in futility, it can provide a useful lens through which to focus our efforts as we move into the new year. 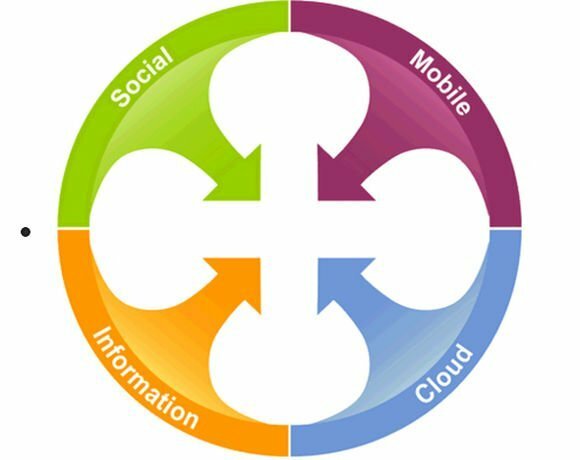 Gartner’s Nexus of Forces - mobile, social, cloud and information, are a stable baseline when considering where the industry is heading. These four trends now permeate all areas of business, from the smallest of SMEs to the global corporations. However, they have been around for a couple of years at least now. So what has changed in 2014? This was a year in which we saw these overarching themes implemented, and refined. In 2012, most organisations were still asking ‘what exactly is cloud’, but only two short years later, many businesses have not only executed their cloud strategy, but become experts at managing their infrastructure layer. It is no longer a playground in which non-mission critical applications are shoved, but the bona fide infrastructural backbone of businesses the world over. It is shifts like this, from the theoretical to the tangible, that have defined the past 12 months. Here are the opinions of some of the leading voices in the IT industry on how the landscape has evolved in 2014 and where it is likely to head as we usher in the new year. While Software Defined Networking (SDN) has been a hot topic for a few years now, 2014 was the year in which horizons were expanded and enterprises began to move towards automation and policy-based architectures. All of the trends and predictions in this article, including the mega-trends, ultimately feed up to the software-defined ethos. It is, in essence, the ultimate-mega-trend. Today's applications demand highly dynamic, easily manageable, cost-effective, and adaptable infrastructure. A Juniper Networks spokesperson said 2015 will be the year that businesses begin to get to grips with software-defined can really do for the business – the inaugural move from the theoretical to the tangible. “For traditional IT teams this will be both challenging and, for those that embrace it, rewarding as they will gain real business benefits from the cloud, beyond those of a commercial nature,” Linsell adds. 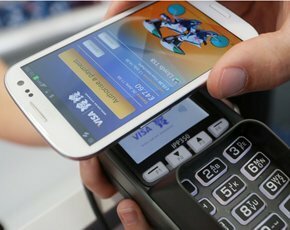 Mobility remains one of the most disruptive trends on the timeline of modern technology. Geoff Stead is director of mobile learning at Qualcomm and an internationally renowned thought leader in the mobile technology space. From a technology perspective, Stead believes that 2015 will be the year of mobile awareness. “The major trend has to be the increased awareness of context. The fact our phones can listen to us continually (waiting for a wakeup key phrase), can tell what we are listening to, can analyse and understand what we are looking at (via the camera), can communicate lightly with devices around me (IoT) then feed that back up to the cloud for deeper processing back there… is immense,” Stead explains. Kaplan points out that enterprise infrastructure is currently playing catch up when it comes to the diverse range of devices floating around. Tristan Rogers, CEO of Concrete points out that there are still fundamental barriers standing between users and true mobile productivity. “Phones and phablets already hate files; on mobile devices, files lock information behind unnecessary barriers, present information badly and offer little opportunity to work on the move,” Rogers explained. The Internet of Things is still very much in its infancy and beyond office fridges knowing when the milk supply has run dry, many are struggling to see where the concept fits into the enterprise. “Personally, I think a lot of the use-cases here are dramatically overhyped. That said, IoT continues to be a majorly important trend,” says Stead of Qualcomm, adding that 2015 will be the year where standardisation becomes critical. David Gouveia, channel director, EMEA of MuleSoft, believes that 2015 will be the year that these use cases are properly defined. “While IoT has been talked about for a couple of years now, I believe 2015 will be the point where it begins to mature from buzz into an actual set of offerings. Companies will need to unlock IoT and create new digital channels with APIs,” Gouveia predicts. So that's it for part one. The technology behind buzzwords is often not new; in fact, it has usually been around for decades. What the buzzwords do, is allow the industry to frame the debate; to provide perceptible use cases that businesses can strive for and build on. Software-defined is a prime example of this. The concept of decoupling the control plane from the data plane is nothing new; what is new is the question - "What can software-defined do for our business?" The general consensus seems to be that 2015 will be the year that this question is answered. To read more reflections and predictions, read: A look back and forward - part two.